'L'hôpital de Saumur vient de lancer un appel à fermage pour le Clos Cristal, hospices de Saumur, de Souzay-Champigny. Il est un des symboles du vignoble de Saumur avec sa technique des ceps passant à travers les murs. Antoine Cristal (1836-1931) is widely credited as the father of good Saumur red wine, particularly after the ravages of phylloxera. 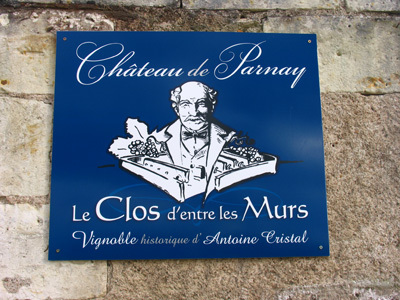 In 1886 he acquired the Château de Parnay rapidly developing a passion for wine and viticulture. 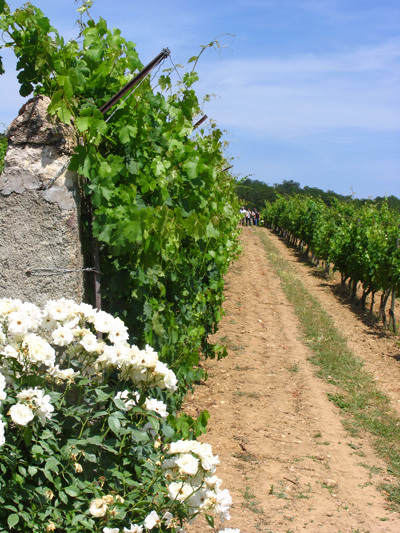 Cristal created two unique walled vineyards – Le Clos Cristal planted with Cabernet Franc for red wine and Le Clos des Murs planted with Chenin Blanc for white. 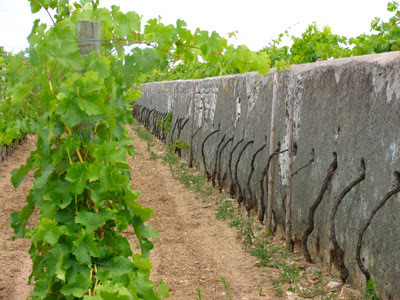 They are unique because Cristal devised a system of walls that ran across the vineyard with the vine root planted on the shady side – clearly north in the case of the Clos des Murs – keeping the roots moist. The vine was then threaded through a hole in the wall to benefit from the sun and heat. 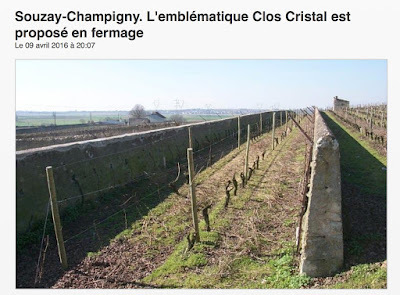 In 1928 Cristal bequeathed his Clos Cristal to the Hôpital de Saumur before he died in 1931. 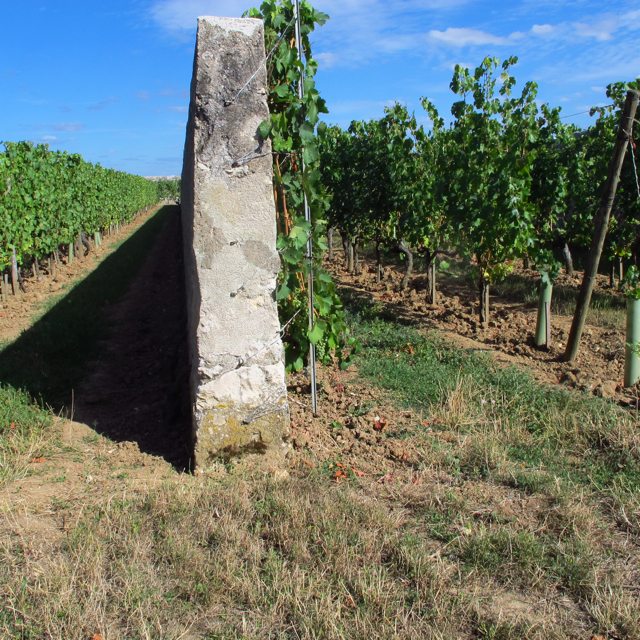 Since 1996 Éric Dubois has run the Clos Cristal on behalf of l'Hôpital de Saumur. The vineyard is organic. Unfortunately, according to this report in Le Courrier de Ouest, the Clos has run into financial problems and the the owners are now looking to rent out this famous vineyard. The Clos des Murs, still owned by the Château de Parnay, used to be in a lamentable state but, with a change of ownership, has happily now been restored.